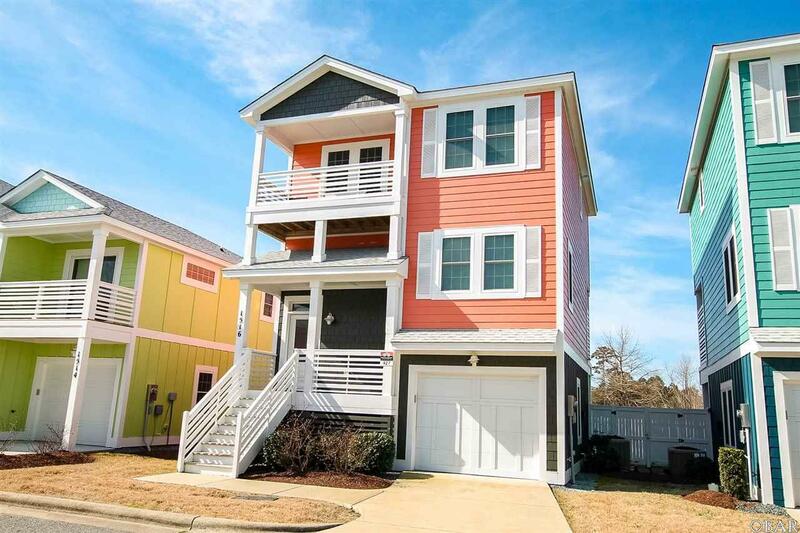 LIKE NEW BERMUDA MODEL, sold FULLY FURNISHED BY EXOTIC HOME! MAINTENANCE FREE SINGLE FAMILY DETACHED CONDOMINIUM on the Pond Front at Devonshire Place! Association fees include Flood, Wind and Hazard Insurance on the buildings AND almost all exterior maintenance from roof, painting, decking, fencing, termite treatment, and lawn care!! (Homeowner only responsible to maintain yard inside back fenced in area and interior contents.). 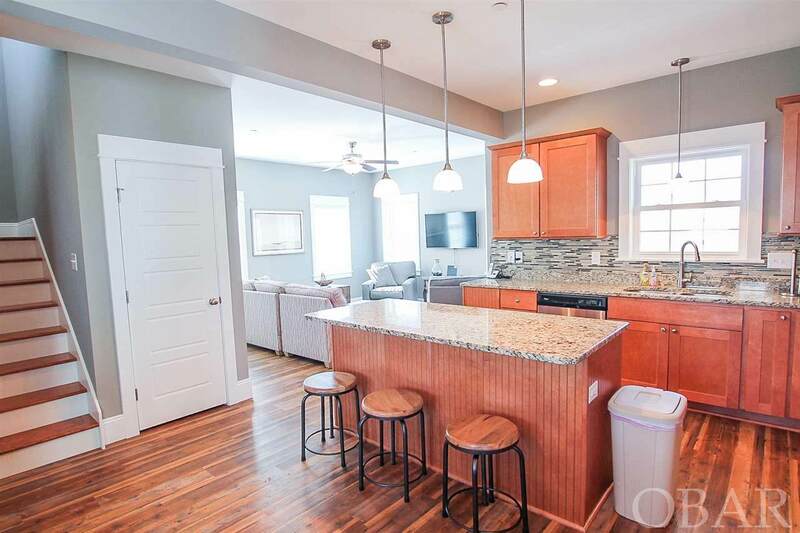 This 2 bedrooms, 3 full/1 half bath Detached Condominium features high end finishes and the highest quality construction methods and materials by Outer Banks Renovation & Construction! Pull into your garage (has Epoxy Floors!) on the ground floor which also includes a Full bath as well as a Game Room (with Queen sleeper sofa) that leads out to an outdoor patio perfect for grilling and entertaining and the spacious Fenced-in Backyard with Outside Shower. 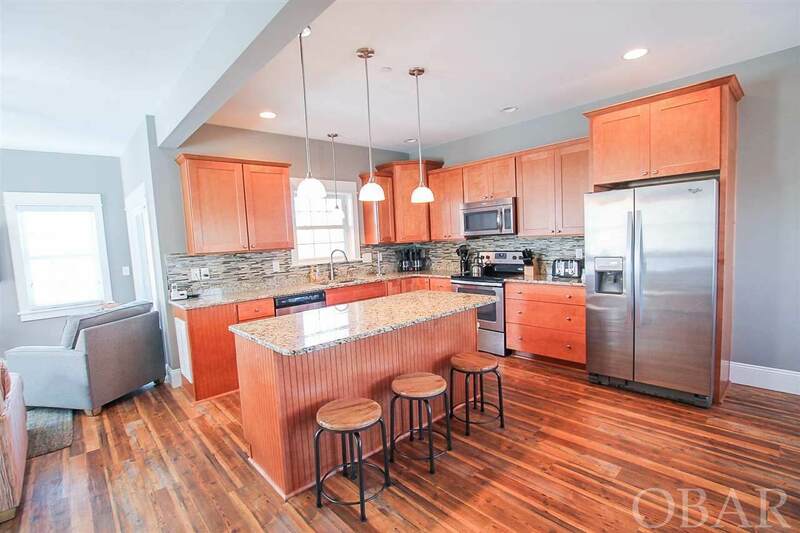 The second level has an open floor plan featuring a Living Room that extends onto a covered deck, connecting dining room and Kitchen with a gorgeous Granite countertop bar that overlooks all. The Kitchen features custom cabinetry with self close finishes by Wolf, Kohler faucets, stainless steel Whirlpool Gold appliances, Super Durable Karndean Luxury Vinyl Tile flooring in the Van Gogh Collection, Granite counter tops and a Daltile Natural Stone back splash. The top floor offers two Master Bedrooms featuring Shaw Clear Touch Polyester Loop carpet, each with private bathrooms featuring Granite countertops, Wolf Cabinetry, and Kohler fixtures. The master suites also include large walk-in closets plus Daltile Natural Stone tile in the shower. A spacious BONUS ROOM/OFFICE NOOK (10'8x8'2) separates the two bedrooms on the top floor. 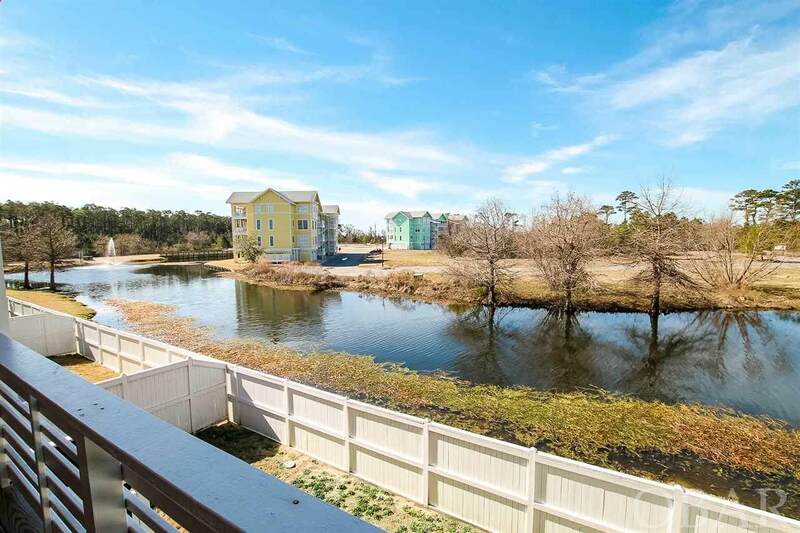 Devonshire Place is centrally located in Kill Devil Hills...Enjoy a stroll or bike ride to the Wright Brothers Memorial, area shopping, schools, beaches and restaurants. Or perhaps join your neighbors for socializing at the Elbow Beach Community Clubhouse, where residents and their guests can relax under sun-shaded fabric cabanas or take a dip in the meandering pool. In addition to the Clubhouse and custom Outdoor Community Pool, the association amenities also include a Fitness Center with tons of equipment and several TV's. This is a fantastic opportunity to own an easy to maintain primary, 2nd home or investment property!